MS® PVDF hydrophobic membranes can be prepared to exhibit high efficiency for particle removal. 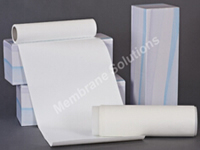 PVDF has a low critical surface energy and conventional, hydrophobic, PVDF membranes will not wet with aqueous fluids. MS®PVDF hydrophobic membrane can ensure wet air and other gas pass through smoothly, even when the differential pressure is very low. 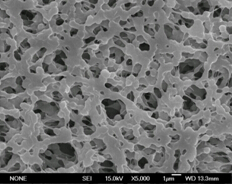 It holds the opposite capability against PVDF hydrophilic membrane.